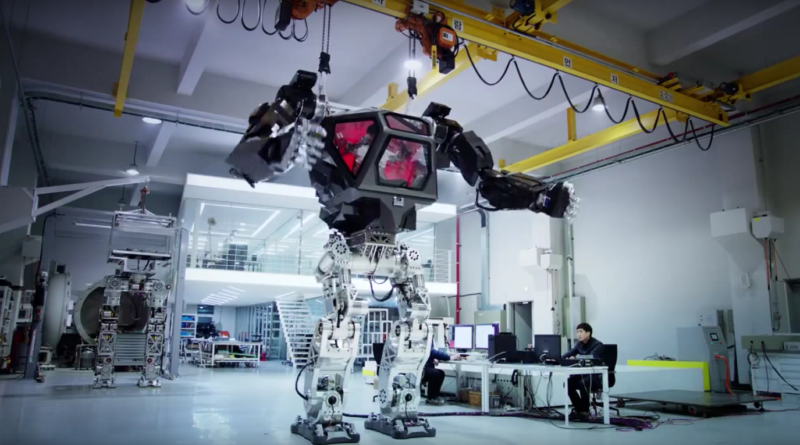 A South Korean robotics company, Hankook Mirae Technology, has developed a 4-meter tall, 1.5-ton manned bipedal robot – bringing to life what only seemed possible in cartoons and in the movies. “Our robot is the world’s first manned bipedal robot and is built to work in extreme hazardous areas where humans cannot go (unprotected),” Hankook Mirae Technology Chairman Yang Jin-Ho told the Telegraph. Since 2014, Jin-Ho said he has invested $200 million in the project. Conceptual designer Vitaly Bulgarov posted on his Facebook page a video footage of the first steps of the manned bipedal robot dubbed as Method-2 with a human on board. Bulgarov – credited for his robotic designs in Hollywood movies, including Terminator, Robocop and Transformers – designed Method-2’s powered suit. Bulgarov himself made a shy attempt to control the arms of the robot. Bulgarov said they are currently revising the frame of Method-2 to reduce the vibration. The Hollywood conceptual designer added that the modified version of Method-2 is already in development and is set to help with the repair of the Fukushima disaster area. From a mechanical, software, hardware, electrical engineering standpoint, Bulgarov said that the robotic project of Hankook Mirae Technology was an ambitious project that required a lot of technological development along the way. Other than simply being a bipedal robot, the manned robot project opens up numerous real world applications, Bulgarov added.